all sides for effortless handling. 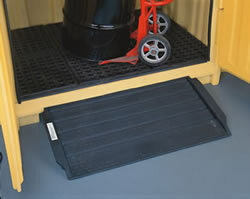 purpose ramp facilitates loading your drums into the unit. 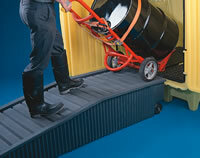 Make loading drums a cinch with the Multi-Purpose Work Ramp. Lightweight and easy to handle, it attaches to the Job Hut in seconds. 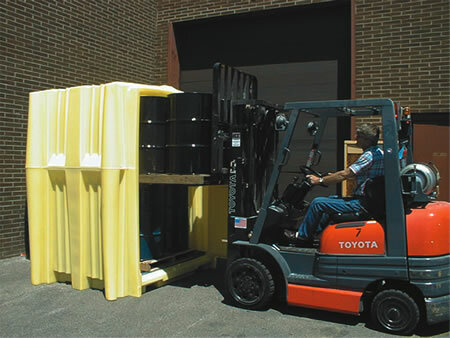 55-gallon drums right on their 4" pallets. olyethylene construction means there are no joints or seams to leak. and heavy- duty hinges and lock latches keep contents secure. 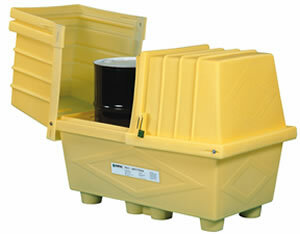 Four-way forkliftable design makes the Hazard Hut easy to handle. Poly-Ramp. With integrally-molded handles and 5"
the convenience of leaving the pumps installed is important. 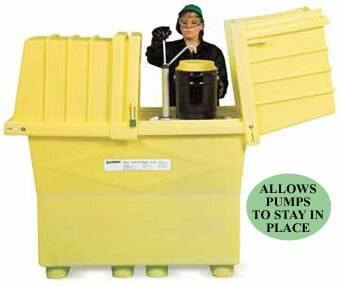 Capacity is also greater--270 gallons. Optional drain. protected from the weather with our unique slide-over lid design. 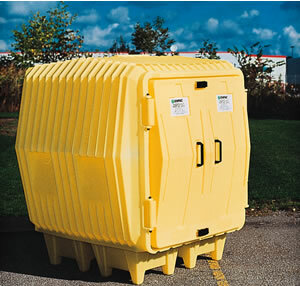 polyethylene has excellent resistance to chemicals as well as weather. Safetypack is easily handled by forklift or pallet jack from two sides.